To revolutionize and change the shooting form, concepts and ideas currently used by basketball players throughout the United States and beyond. Shooting a basketball is the most important fundamental skill a player can possess, yet it is easily the least understood aspect in all of basketball (and perhaps all of sports). Basketball coaches are taught by their coaches who are taught by their coaches. Basketball information is generally passed down by coaches from generation to generation. In other words, we are currently being taught to shoot like players from the 1950’s. The game of basketball has changed greatly during the past five decades and this outdated shooting form no longer works in today’s game. The best shooters in the world DO NOT use the techniques that are currently taught by most coaches in the United States. These outdated techniques include: squaring the feet, knees fully bent, and getting shoulder width. When you watch the best NBA, WNBA and Collegiate players, they DO NOT employ the concepts that your grandfather used. Instead, they shoot quick and narrow. 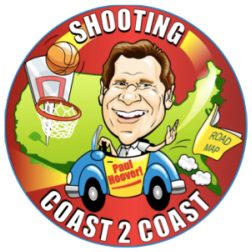 Paul Hoover is considered one of the premiere shooting coaches in the United States. Coach Hoover, founder and director of Pro Shot Shooting System, has guided hundreds of collegiate and professional players in the art of shooting. Coach Hoover has also authored, “Pro Shooting Secrets” which is the largest and most in-depth shooting book to date. Considered a revolutionary book on shooting, it has been read by hundreds of collegiate and professional players and coaches. Paul has also produced the successful DVD, “The Focused Shooter, which has helped 1000's of players over the years. Paul has successfully head coached teams at all levels. He guided various high schools teams for 16 years in Southern California. During this span, he directed his teams to 300 wins and 12 league championships. Known for their excellent shooting ability, Coach Hoover’s teams set scoring records at four different schools. What is the Pro Shot Shooting System? In the past 20 years the Pro Shot Staff has researched the jump shot like no other organization. We have spoken to great shooters and coaches. We have broken down video frame by frame to determine how the best shooters actually shoot the ball. I know that I am in the infamous 10,000 hour club in regards to breaking down the jump shot. Here is what we have discovered. No two jump shots are the same. A jump shot is like a finger print. It is impossible to have two players shoot exactly the same. We also believe there is no such thing as the “perfect” jump shot. We hear that all the time. What a bunch of hog wash.
What we have learned is that great shooters generally possess four shooting components on each and every shot. They are: a quality release, body alignment to the basket (hip, shoulder, elbow and release to the basket), a dip when shooting off of the pass (for rhythm and power) and great arc (which is dominated by extension and swaying the shooting shoulder back). This is how the shooting greats of the past shot (Maravich, Jordan, Kerr, Mullin), the shooting greats of today (Kobe, Durant, Curry, Korver, Redick) and the best women shooters (Katie Smith, Diana Taurasi, Maya Moore. Elena Delle Donne). There will always be a few outliers that possess 2 or 3 of the four qualities, but usually they are few and far between. We wish more coaches that were as accepting as Coach Lockwood. Unfortunately many live with the belief that “those players are professional players. They can break the rules in shooting. My players need to square up AND land squared up, start your shot high and never bring it down, land in the same spot as they started, and shoot in a nice wide stance.” So how is that working for your players? How were your shooting numbers last year? Last year we had had multiple high school teams shoot between 40-45% from the three point line. We had teams improve their field goal percentage by 10-20%. The System does work, but in anything in life you have to believe for it to work. We give everything away for free because we truly want to change the disaster that we see everyday called shooting. Our two eBooks, “Pro Shooting Secrets” and “Coaches Handbook” are complimentary. They are easy to download and offer 200 pages of important information on shooting. Also, check out our website (wwww.proshotsystem.com). 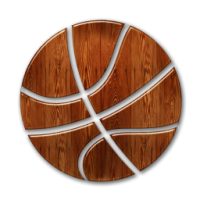 We offer 240 instructional videos on shooting that include NBA/WNBA player breakdowns, drills, Ten Shooting Lies and the mental side to shooting series. There are 23 hours of video content on the website. Lastly, if you would like to host a 3-4 hour camp at your gym for your program, please let us know. Pro Shot will travel to all 50 States (we have a camp in Alaska in September). Our camps/clinics are affordable and we offer a money back guarantee. We 100% guarantee that there is a not any better shooting instruction in North America than the Pro Shot System. We hope you check out our information with an open mind. We have a saying at Pro Shot: “Seeing is believing.” If you watch the videos and read the eBooks, you will truly believe in the Pro Shot Shooting System. The Pro Shot Shooting System is an advanced shooting program based on biomechanics, myscle memory and focusing. The System is currently being employed by thousands of professional, collegiate and high school players and hundreds of AAU, high school and collegiate teams. The PS System is the most complete shooting program on the market. We 100% GUARANTEE any player or team that uses the PS System on a daily basis will become more accurate (we believe as much as 10-20% better shooters in only a month ), quicker and comfortable shooter(s). At Pro Shot, we truly believe 90% of what is taught in regards to shooting is outdated and obsolete. Using shooting concepts based from the 1940’s and 50’s will develop a player into becoming a slow and overly mechanical shooter. Simply put, if a player uses these outdated techniques, he/she will always fail. The Pro Shot Shooting System works because it is simple to comprehend and it makes sense. We focus on six areas of the body to produce accurate, rhythmic and quick shooters. Our belief is that a shot is missed due to: Lack of Focus, Lack of Extension or Too Much Tension. We teach each player to understand the reason he/she is missing and then how to correct their shooting errors. There is not a shooting system in the world that will improve a player’s mental and physical shooting skills as quickly as the PRO SHOT SHOOTING SYSTEM. You will see results in a matter of minutes. Pro Shot is America’s leader in shooting and skills training with having conducted 500+ camps in 45 States in 2012. 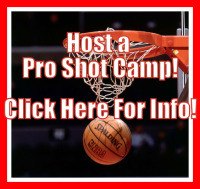 “The Shooting Road Show” offers the finest shooting camps, clinics and training throughout the nation.